Most puzzles — whether we’re talking about puzzle boxes, jigsaw puzzles, physical brain teasers, or mechanical puzzles — operate under a simple premise: the puzzle arrives in one configuration, and it’s up to you to solve it and put it into a different configuration. With puzzle boxes, you’re opening them. With jigsaws, you’re assembling the pieces. With physical brain teasers and mechanical puzzles, you’re separating them, freeing a given piece, or accomplishing a particular task. But in each case, they’ve arrived that way. You have been pitted against the designer. Project Genius‘s IcoSoKu is something different. IcoSoKu challenges you to create your own puzzle, and then solve it. The setup is elegant in its simplicity. 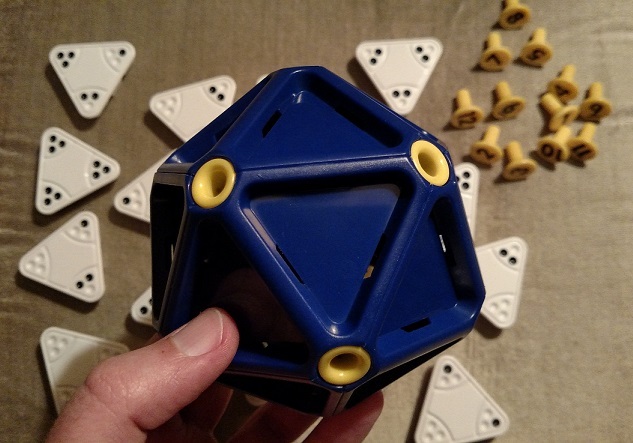 It’s a puzzle ball consisting of a twenty-sided icosahedron base, twelve numbered pegs, and twenty triangular tiles with different combinations of pips at the corners. 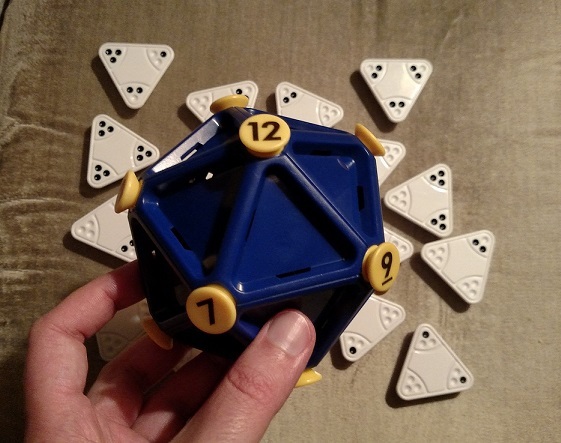 To start, remove all of the tiles and all of the pegs from the icosahedron. Place the numbered pegs wherever you wish on the puzzle ball. Then, you must figure out how to arrange the triangular tiles on the puzzle ball. This is tougher than it seems. Each triangular tile has a different combination of pips in its corners. Some corners have none, while others have one, two, or three pips. And each corner neighbors a different numbered peg. Each numbered peg is surrounded by five corners, and the pips on each corner, when added together, should total the number on the peg. And with numbers ranging from 1 to 12, you have to be both clever and careful in your tile placement. That peg labeled “1” can only have a single pip neighboring it, meaning that the other four tiles surrounding that peg should have empty corners. 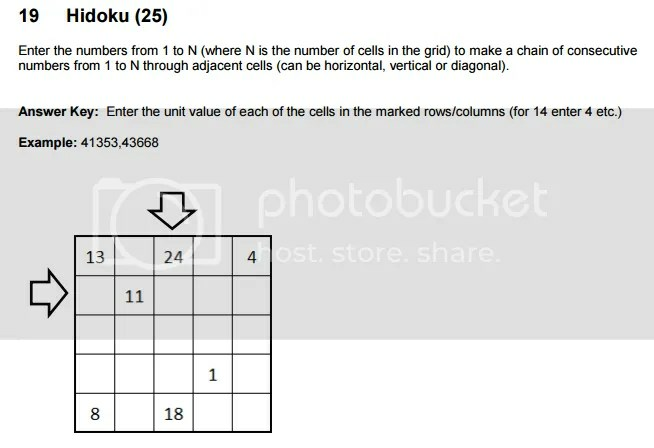 IcoSoKu combines the deduction of placement puzzles like Minesweeper or Blackout! 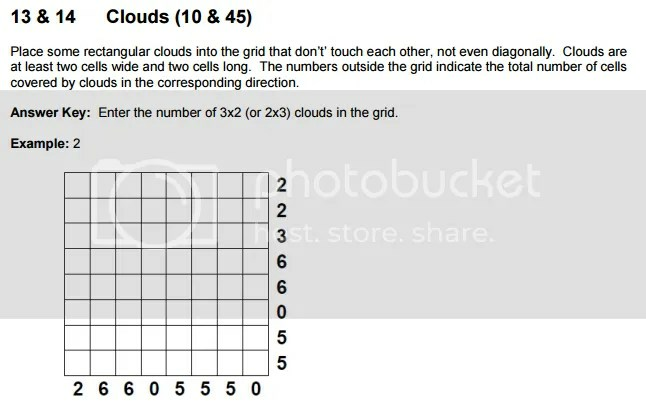 with the mathematical puzzling of a magic square or a Sudoku puzzle. And by making the puzzle three-dimensional, it places a healthy demand on your puzzly faculties. You’re constantly tipping and turning the puzzle ball, because you can never see the whole puzzle at once, making it much harder to manage your tiles and maintain a good sense of just how many of those valuable little pips you’ve already used. And as soon as you’ve placed the final tile and searched the puzzle ball all over, confirming a successful solution… all you want to do is strip away all of the tiles and pegs to test your wits again. Assigning pegs randomly creates a completely different solving experience from bundling all the large numbers together on one side and all the small numbers together on the other side of the ball. 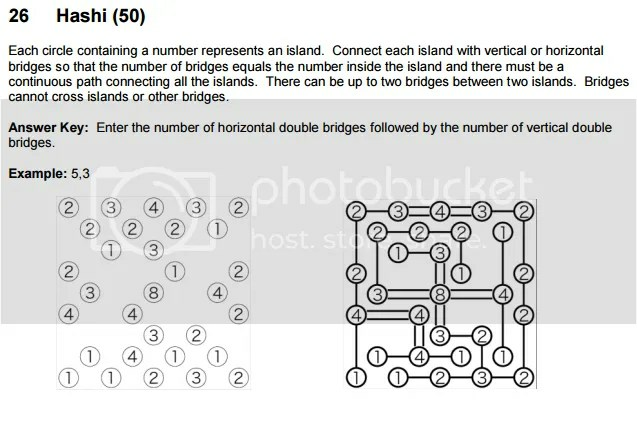 Although you will begin to spot certain patterns and techniques that will come in handy as you solve each successive permutation of the puzzle, you’ll still find IcoSoKu to be an engaging and satisfying challenge. Plus there are other ways you can enjoy the puzzle after cracking it yourself. 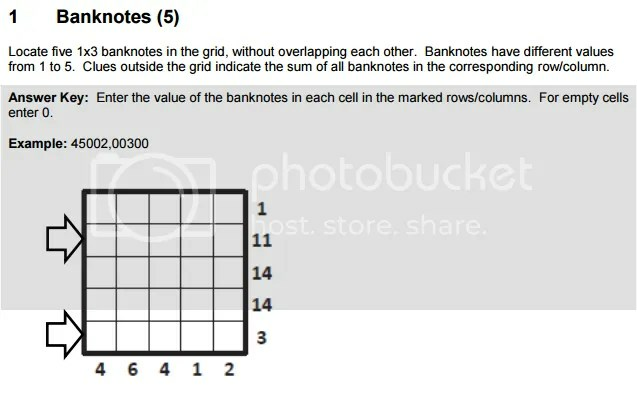 I challenged a fellow puzzler to a timed IcoSoKu solve-off! First, I arranged the pegs and timed how long it took her to solve the puzzle ball I’d devised. Then, she arranged the pegs and timed how long it took me to unravel the puzzle ball she’d created. It added a fun touch of competition and uncertainty to the solving experience, one that my patient solo-solving didn’t capture. But whether you’re tackling IcoSoKu yourself or with a puzzly rival, you’ll find plenty to enjoy here. It’s a DIY puzzle, masterfully put together and waiting for you to execute. 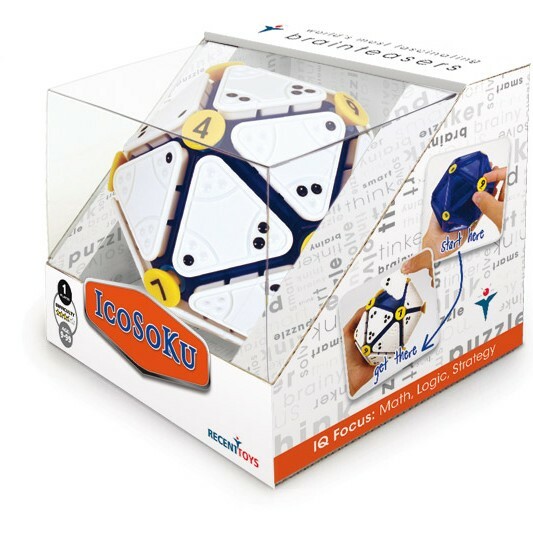 IcoSoKu is available from Project Genius and other participating retailers, appropriate for solvers 9 and up! It’s rare to get a glimpse inside the puzzly creative process. 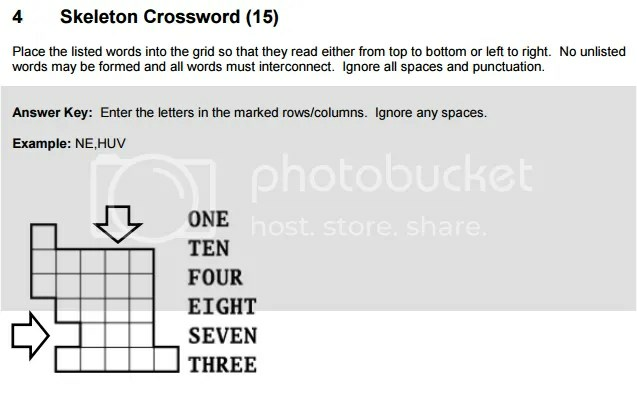 Sure, plenty of crossword constructors are happy to share how particular puzzles of theirs came to be, but many constructors and designers, whether we’re talking mechanical puzzles, pen-and-paper puzzles, or electronic puzzles, keep their techniques and tricks secret. They’re like magicians that way. So when a puzzler takes you behind the curtain, it’s a rare and special treat. 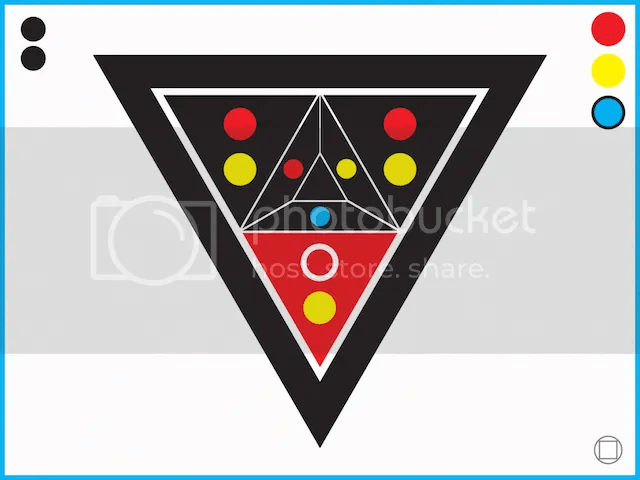 The website Gamasutra recently hosted such an event when app designer and puzzler Paul Hlebowitsh explained in detail how he designs the puzzles for his app RYB. I love the devilish simplicity behind the solving. It’s so universal that it transcends the language barrier. Simply show another person the first step, and they’ll pick it up immediately. Paul goes on to explain how one particular puzzle evolved as he sought the perfect mix of puzzly challenge and unique solvability. It’s a fascinating read, one I can’t do justice to with a brief summary, so I suggest everyone check out the full post to watch an impressive constructor at work. Being walked step-by-step through a build by the designer is a delight.